2018 will be remembered as a sad year by both chefs and gourmets, getting off to a bad start with news of the death of the “pope” of French cooking, Paul Bocuse. When the 91-year-old died on January 20, the memory of Monsieur Paul was hailed by several generations of French and foreign chefs who were inspired by his recipes and his charisma when forging their own careers. 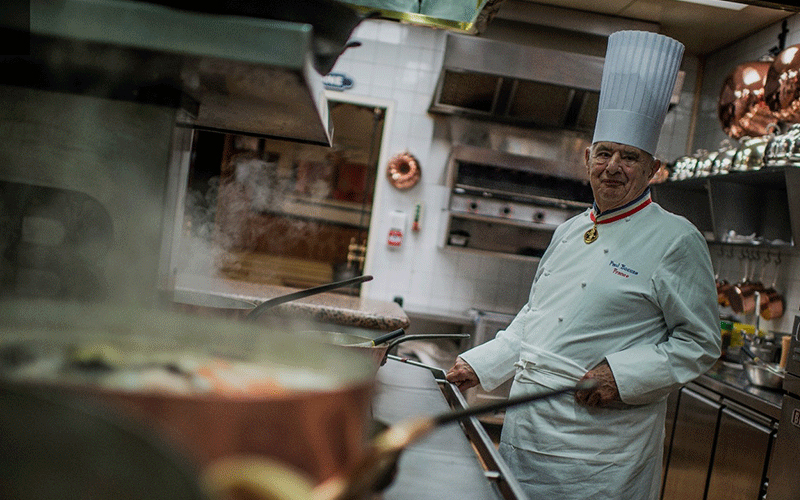 Close to 1,500 chefs attended his funeral service in Lyon. Another ‘Chef of the Century’ laureate, Joël Robuchon passed away on August 6 at the age of 73. He left behind some 30 restaurants around the globe, which have been awarded 32 Michelin stars. The news of his demise was particularly regretted in Japan where the life-long Japanophile’s eateries had a total of seven Michelin stars. Robuchon’s extraordinary achievements include the rare distinction of winning three Michelin stars for his restaurant Jamin just three years after it opened in 1981. On a happier note, French chef Dominique Crenn, who lives and works in San Francisco, was awarded her third Michelin star when the guide published its latest rankings for the Californian city in November. The first woman chef to obtain three Michelin stars in the US, Crenn, who opened her restaurant L’Atelier Crenn in 2011, was named ‘Best Female Chef’ in 2016 by the World’s 50 Best awards. Having won back his top spot in the World’s 50 Best Restaurants rankings in 2018, the Italian chef behind L’Osteria Francescana added a fourth venue to his Food for Soul project with the March 15 opening of the “refettorio” in the crypt of the Eglise de la Madeleine in Paris. Bottura, a key figure in the fight to combat food waste, called on his Michelin-starred colleagues to take turns cooking at the community kitchen, which provides gourmet meals for the needy and homeless. The Food for Soul concept has previously been launched in Milan, Rio de Janeiro and London.